Americo Harry Micci, 89, passed away peacefully from complications of dementia on January 13, 2019. Harry was born on February 26, 1929 to the late Mike and Frances Micci in Chicago Heights, IL. Harry was married to his late wife, Bernadine, for 58 years. They were married June 7, 1953. Their son, Michael, was born in 1954. Their daughter, Gina, was born in 1955. In 1956 the family moved into the home that Harry designed and built in Joliet. The home still stands as a testament to his skill and hard work. Harry was married to Bernadine (nee Dragovan), who passed in 2011. He is survived by his son, Michael (Cathy Cohan, PhD) Micci, PhD of State College, PA and his daughter Gina Micci, MT(ASCP) of McHenry, IL. He is also survived by his grandchildren, Sofia and Carmen Micci, of State College, PA. Harry is survived by his brother, Attilio Ted Micci, and his sister, Mafalda Beall, both of Joliet. Many generations of nieces, nephews, and cousins also survive. Harry served in the US Air Force during World War II and was recalled to service during the Korean Conflict. He built and repaired the engines of air craft, especially the fighter planes. After his service in the Air Force, Harry went to work at Reynold Metals in McCook, IL. He retired after 35 years at the plant. Harry started as an electrician and retired as the plant’s electrical foreman. He was among the first in his field to learn to use computers to operate the milling process of aluminum. Harry also completed his Associate’s Degree at Joliet Junior College. Harry loved his sports teams. He was a die-hard Chicago Cubs, Blackhawks and Bears fan. Every year the family made the trip into Chicago to see a Cubs game. We froze on the lake front watching Bears games. We had nose bleed seats for the hockey games when Bobby Hall, Stan Mikita and Keith Magnuson played. Best of all, Harry was aware enough to know that his beloved Cubs finally won the World Series. After his retirement, along with his wife, Harry converted their beloved cottage on the Kankakee River into a year-round home. The cottage was a place of escape where they could relax and enjoy the tranquility of the water. The cottage has been a part of the family since 1960. Harry loved everything airplane. He learned to fly and was a part owner of a 4-seater plane. It was his dream to fly and he enjoyed his time in the air. On family vacations Harry always knew where the Air Force bases were located. The family spend many hours at the end of an air strip watching planes take off and land. Harry is the former president of the American Italian Cultural Society in Crest Hill, IL. He was an active member of the club until his dementia prevented him for fully participating. He could be seen in the kitchen cooking pasta during the monthly spaghetti dinners. 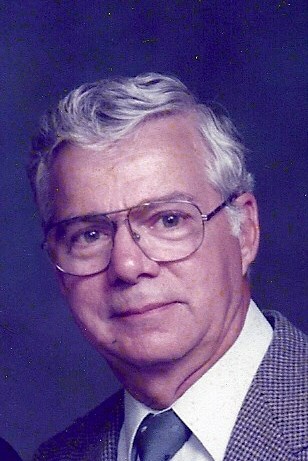 He was a lifelong member of the Knights of Columbus. Harry is preceded in death by his wife; his parents; one sister, Lena Lagrimini; and one niece, Donna (Micci) Paul. Visitation for Harry Micci will be held Monday, January 21 from 3pm to 7pm at Blackburn-Giegerich-Sonntag Funeral Home, Joliet. Funeral from the Blackburn-Giegerich-Sonntag Funeral Home January 22, 2019 at 9:30 a.m. to Holy Family Catholic Church, Shorewood for a Mass of Christian Burial at 10am. Interment will be at 12:30pm at Abraham Lincoln National Cemetery, Elwood.